The video game retailer GAME, who bought esports event company Multiplay in 2015, have announced the fourth season of their UK Masters esports tournament. This time they’re offering £30,000 in prizes split over two games. The Summer 2017 season as it’s being stylised, offers £15,000 in prizes for competing teams in CS:GO and League of Legends. With CS:GO being the staple title throughout the previous three seasons, and with League of Legends making its return since its only appearance in Season 2. This is also the first time the tournament is designating the Republic of Ireland as a competing country, therefore allowing teams with a majority Irish contingent to compete. The new season also ushers in a redesigned look for the league, bringing in a purple colour scheme alongside a new logo. This brings it more in-line with the GAME camp as they intend to centralise more of their esports offering under one roof. This comes after the retailer started focusing their esports properties into their “Belong by GAME” brand, by creating a tournament system alongside their new stores. The competitions are set to face eight teams in each title’s league, with qualifiers starting from the 15th May. Each qualifier is set to have the top two teams secure a spot to their respective league. CS:GO is set for three qualifiers and two invited teams, and LoL is set for four qualifier tournaments. The online league is set to be broadcast over a Monday to Thursday window each week, broadcast from the Multiplay studios in Basingstoke. The finals for both titles will be set for Insomnia i61. More information, including on how to get involved with the tournament, is available on the UK Masters website. 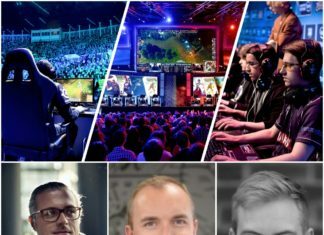 Esports Insider says: Nice to see this regular commitment coming from the GAME camp and their attempts to keep the UK competitive. The addition of Ireland to the league is also a recognition of how closely linked the two scenes are.